OmegaTは、Javaで書かれた自由な翻訳メモリープログラムです。翻訳専門家のためのツールであることを意図しています。OmegaT is a free translation memory application written in Java. 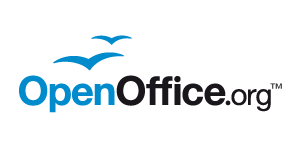 It is a tool intended for professional translators. A freeware concordance program for Windows, Macintosh OS X, and Linux. 入力ファイルから、単語リスト・KWICコンコーダンス・コロケーションを作成する検索プログラム。The KWIC Concordance is a corpus analytical tool for making word frequency lists, concordances and collocation tables by using electronic files. 内容分析（計量テキスト分析）もしくはテキストマイニングのためのフリーソフトウェア。新聞記事、質問紙調査における自由回答項目、インタビュー記録など、社会調査によって得られる様々な日本語テキスト型データを計量的に分析するためのソフト。KH Coder is a free software for quantitative content analysis or text mining. It is also utilized for computational linguistics. 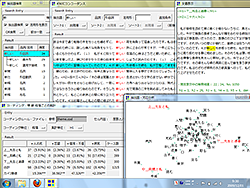 You can analyze Japanese, English, French, German, Italian, Portuguese and Spanish text with KH Coder. 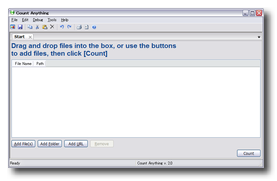 Count Anything is a free word-count utility for Windows. パソコン画面の保存・印刷等を行うことができる、スクリーンキャプチャソフト WinShot is software for capturing windows and screen regions to save and print captured images. 英語文書翻訳業務で用語管理と用語検索を効率的に行うためのソフトウエア xTerminology is a software to perform terminology management and terminology search effectively for translation works of English documents. Personal Dictionary is software for searching dictionaries, studying languages, and crating dictionaries. EBStudioは、JIS-X4081(EPWINGのサブセット)または電子ブック形式で個人用途の電子辞書・電子書籍を作成するツール EBStudio is a tool to create an electronic dictionary and e-books for personal use in the form of JIS-X4081, a subset of EPWING, or as an e-book. 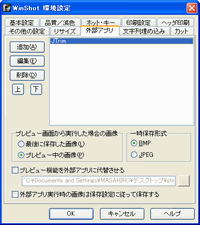 HTMLで書かれたファイルからテキストファイルを生成するフィルタソフト HtoX is software that converts HTML format documents into Text files. NativeCheckerは、Web上に蓄積されている膨大な英文テキストを基盤とした、英語のネイティブチェックシステムです。Native Checker is an English proofreading service by English natives based on large volume of English texts available online. Windows版とMac版両方のMicrosoft Wordをインターフェースとした翻訳メモリ（TM）エンジンライセンス未登録の状態で最大110 KBの翻訳メモリ、もしくは約500 TU（翻訳ユニット）まで作業することができる。Wordfast is a Translation Memory Engine designed as a Microsoft Word add-on to run on both Windows and Macintosh operation systems. It can be used up to 110KB in TM or 500TU (Translation Unit) without registering license.